Who doesn’t love trivia and beer? Gather your team and join us for the monthly trivia night at the pub! 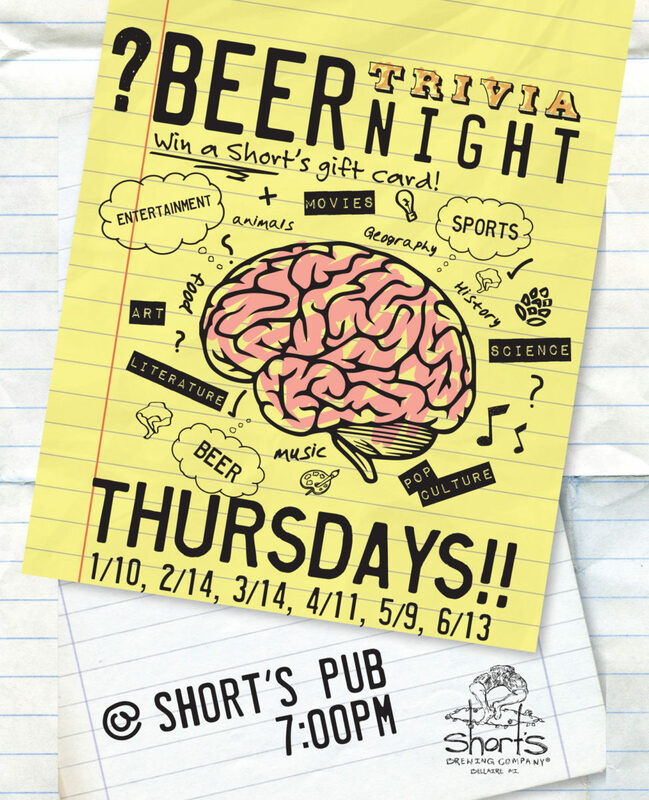 We’ll have a variety of categories to test your knowledge and winners will receive a Short’s gift card.